I was beyond excited today when I visited my four gardens to see what I need to do. 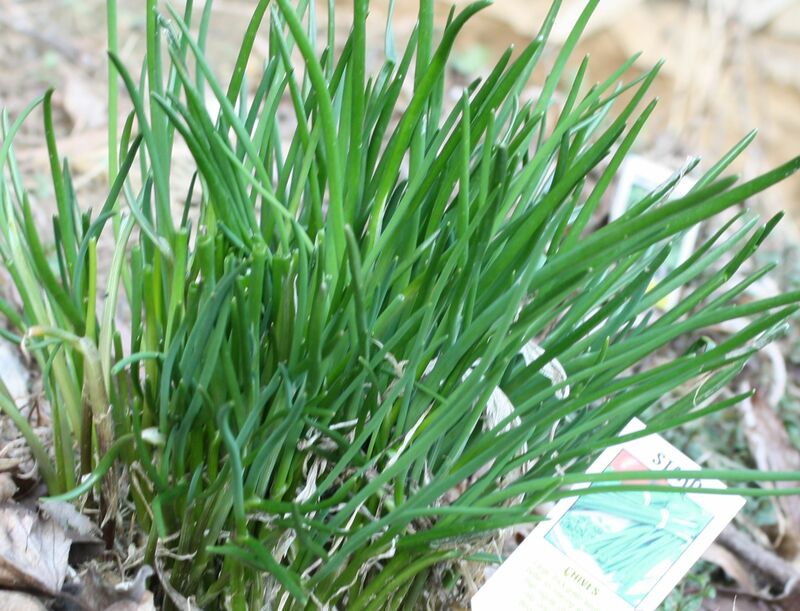 To my surprise in my #1 herb garden, spring had yielded thriving chives. They were all sprouting beautifully. 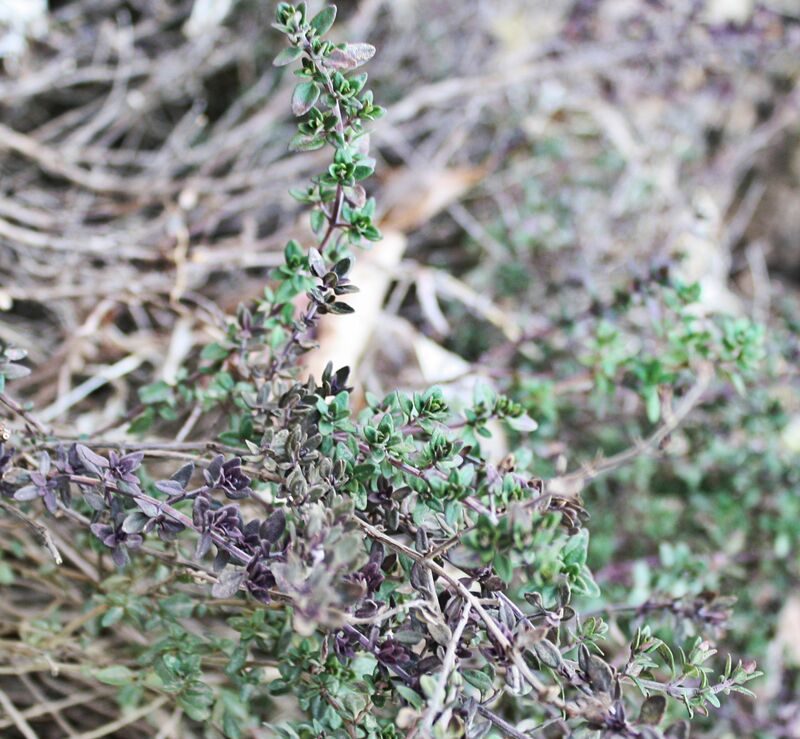 Along with chives, the thyme had begun to climb back and curly parsley was peeping up its little sprouts… I have two herb gardens and yeah to that because boy do I use them. Today’s lamb chops are being marinated in what I have growing now. Why waste a minute, I say! Blend all the ingredients together until emulsified. Set aside. 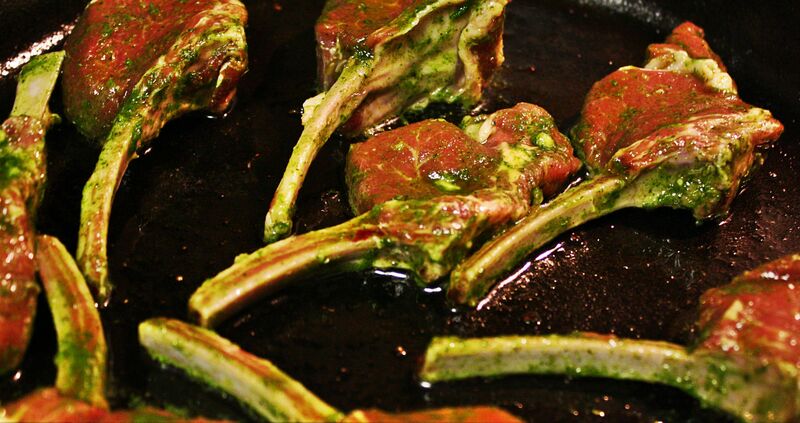 Place the lamb chops in a zip-lock bag with marinade and seal in the refrigerator for 30 minutes. Heat cast iron skillet and add oil. When oil starts to get hot, add lamp chops and cook for 3 minutes, (depending on thickness). After three minutes, turn chops over and cook for 2 minutes. Remove from heat and let rest in pan for another 2 minutes. Serve and eat with desired accompaniments. I chose to toss some cauliflower in olive oil, seasoning salt and roasted at 350 degrees for 15 minutes. I also served a beet green salad.